Twenty-two-year-old Kiersten Miles of New Jersey was finishing college and took on a job as a nanny to pay her bills. Parents of three, George and Farra Rosko, needed a good babysitter at a difficult time for their family: their youngest child, nine-month-old Talia, had been diagnosed with biliary atresia, which causes liver malfunction, and initial treatments hadn't gone well. When they hired Kiersten though, they had no idea how good she'd turn out to be. The family was waiting for a liver donation that matched Talia to become available. They waited and waited but time was running out. Doctors had told them that Talia might not live to see her second birthday if she didn't get a liver transplant soon. Kiersten was stunned to learn this. 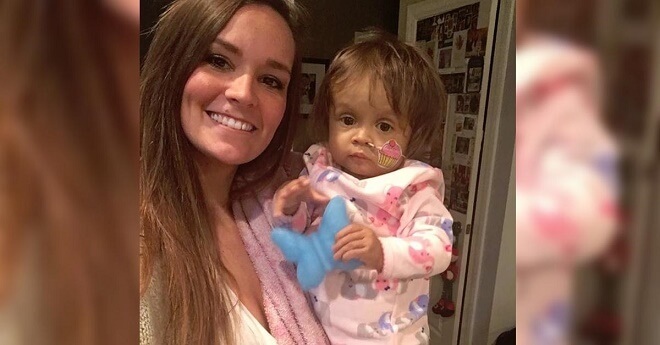 She'd only been with the family for three weeks, but she had already come to love them — especially this adorable baby girl. As she came to understand the situation she made an emotional decision. She wanted to be tested to see if she was a match for Talia. She simply couldn't stand the idea of the baby really not making it. Kiersten thought it over and then spoke to the Roskos. Now it was their turn to be floored. At first they thought their lovely young nanny hadn't understood the seriousness of the situation — donating part of your organ isn't like donating blood. It involves a long operation, recovery time, and a certain risk. You don't want to get tested if you aren't ready for the consequences. But it turned out Kiersten had done her research. She knew what she was getting into and she was serious. So they made the appointment and the young woman got tested. She was a match. Now they began to prepare. The whole procedure would last for 14 hours, Kiersten would have to spend a week in the hospital, and she'd come out with a five-inch scar, but for her it seemed like a small sacrifice to keep a little girl alive. Without further hesitation, they moved forward and the operations went smoothly with both recovering well. Both the nanny and the now 16-month-old toddler are doing well. By seeing her hugely generous sacrifice as a small gesture, Kiersten saved not just a life but an entire family. Brave people like her realize that with a little perspective and determination you can do a whole lot of good!